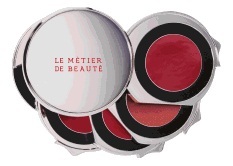 According to Le Métier de Beauté, fall color blends mischief with flare, intermixing playful, opulent shades to create a modern look that is utterly effortless. “I was tremendously inspired by the visionary spirit of avant-garde European film directors, such as Jean-Luc Godard, Otto Preminger and Francois Truffaut,” said Mikey Castillo, Director of Color at Le Métier de Beauté. In films like Breathless and Bonjour Tristesse, "their radical style reset the button on social convention (and good taste)." A blend of Italian Neorealism and classic Hollywood cinema, the term "Nouvelle Vague" was given to the revolutionary style that exploded onto the 60's scene as a rejection of standard and formulaic film-making, inadvertently creating the impetus for the social dissatisfaction with the establishment. 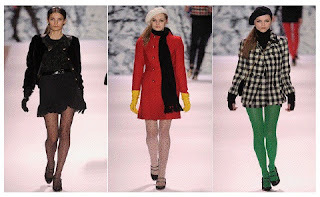 Often called the "French New Wave," the films of Nouvelle Vague brought to life revolutionary style, iconic imagery, and the perfect backdrop for Le Métier de Beauté's Fall 2012 Collection. Nouvelle Vague sets the stage with this season’s most noteworthy shades. An interweave of livelihood, opulence, and pop, each hue in Le Métier de Beauté’s Nouvelle Vague Kaleidoscope Eye Kit reflects the spark present throughout the French cinema New Wave. When combined, the colors provoke an elegant and daring look for a jaw-dropping eye. The shades from top to bottom are Nouvelle, a sheer mink negative (I have no idea what "negative" means here); Gamine, a satin pink celluloid; Icon, a silkly, matte, Parisian mauve; and Fin, a smoldering black carbon. You'll find a better photo in Neiman Marcus' Fall The Book. All four pigments intertwine to create a prism for the ultimate color contrast with the wearer's eye shape and color. 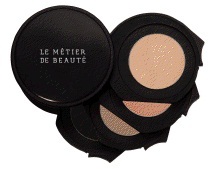 Using the Le Métier de Beauté signature eye shadow application technique, "Couches de Couleur" (the layering of color), each shade is selected to evoke one element in a crescendo. The combination is famed for increasing the femininity of the eyes, while adding a dash of mystery. Kaleidoscope devotees know that well. These Kaleidoscopes will be at counters and available online in September. There are also new Nail Lacquers that will please you. You can pre-order by calling your favorite counter. May I suggest Michael Reinhardt at (202) 966-9700, extension 2258 or 2236, if you need help? That's not all headed your way for fall. I must give you a preview of the new Neiman Marcus-exclusive skin care too. Stay tuned! Update 8/17: Here is a photo I took inside Neiman Marcus of the Nouvelle Vague Kaleidoscope as shown in The Book for fall. I hope the lip colors aren't too vivid for my pale face. Thanks for the preview! I can't wait to swatch it at store. I am quite excited, Coco. I love the top three shades, and the black will be a nice, soft liner. This seems like the one I'll likely spring for. The others always had one shade I would't use. This looks perfect. Thanks for the info and photos!